Rare opportunity to own a ultra custom home at builder cost. Now nearing completion and exquisitely crafted to the standards of a buyer who is not moving in. This amazing craftsman style custom home has 9ft and coffered ceilings with crown molding, and quartz countertops throughout. Sumptuous and warm hardwood and tile flooring and extensive attention to detail not found in your average home. The Living room upstairs with fireplace and views of the surrounding mountains. Daylight basement level features another bedroom, full bath, family room area as well as craft room and a covered patio. 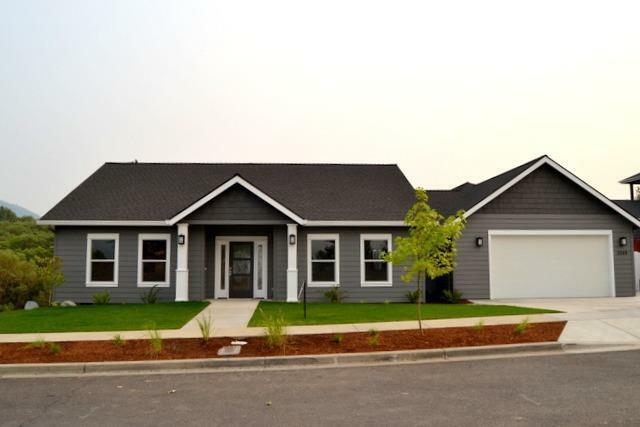 The property is all fenced and landscaped and a rare find in Meadow wood subdivision in Grants Pass in the final phase. This honey is just completed and move in ready. Best of all for you this is priced below the builder's cost. Come take a look. and enjoy the wonderful views from this amazing home.